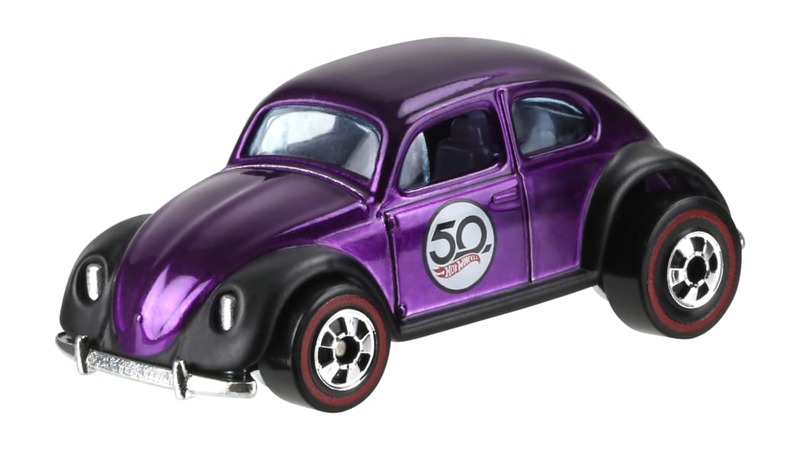 Hot Wheels is celebrating its 50th anniversary this year, and is doing so in a myriad of ways. 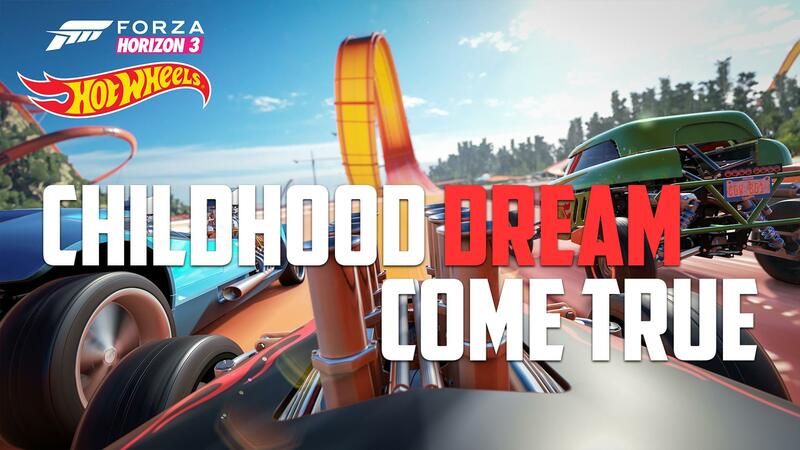 There's a special edition Camaro in race track orange, and a nationwide tour to find a car to turn into a new Hot Wheels car. 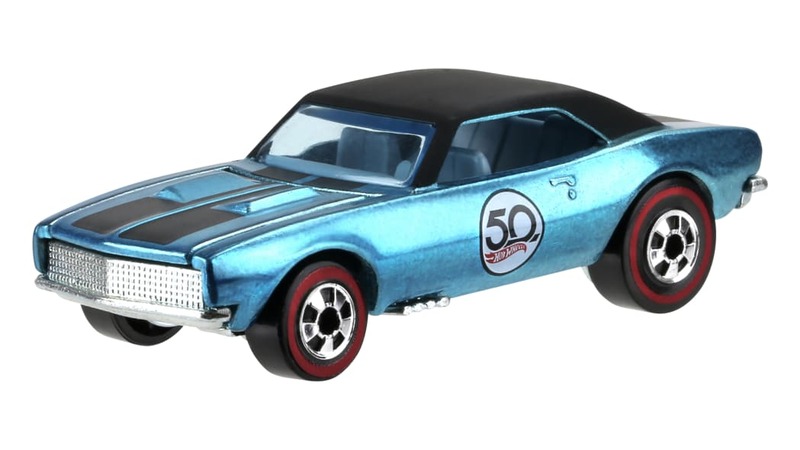 But if you can't afford a new Camaro or make it to a tour event, there's a cheaper, more widely available way to get in on the celebration: by picking up some re-released original Hot Wheels. 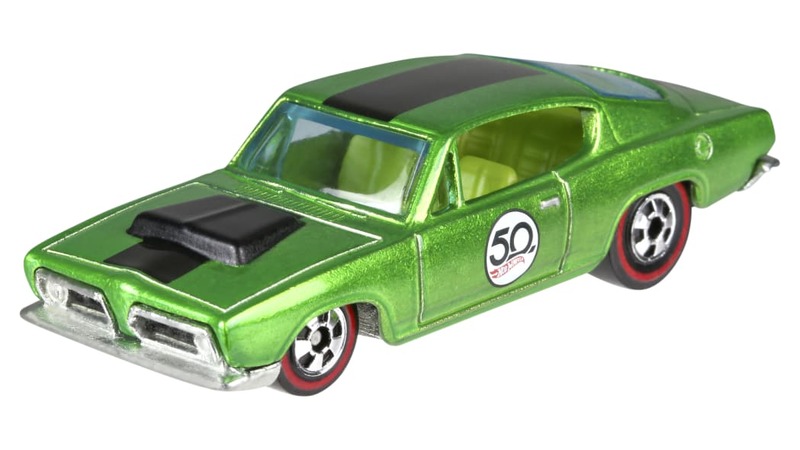 Mattel has taken five of the originals that General Manager and Senior Vice President of Hot Wheels Chris Down called "fan favorites" and has reproduced them. They include the '67 Camaro, Custom '67 Mustang, '68 Cougar, '67 Hemi Barracuda, and Volkswagen Beetle. Each car is die-cast metal with the signature "Spectraflame" candy metallic paint, redline tires, and packaging like the originals. That means they come with the little button inside like the originals. The cars go on sale May 18 to eventually join the over 6 billion other Hot Wheels Down says have been sold to date. The price is $5.49 for each car. That's more expensive than mainline cars, but these are special models that come with more than the car. 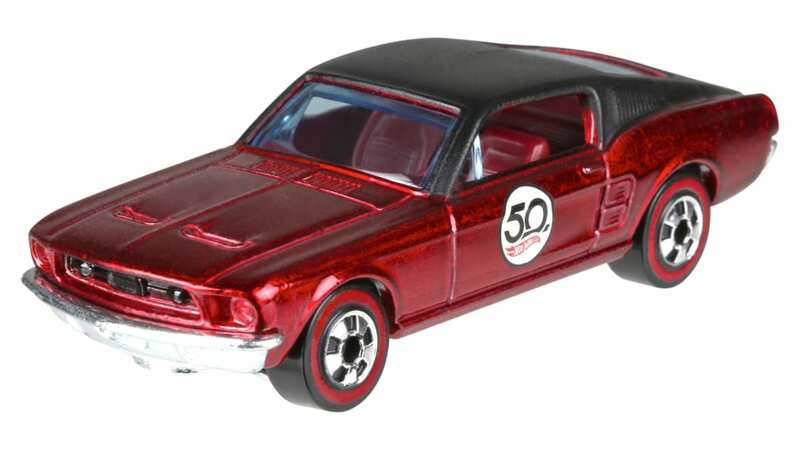 As an extra bonus, one of these reproduction cars will have a code to win one of the aforementioned 50th anniversary edition Hot Wheels Camaros. We secretly hope the winning code is printed on the packaging of a Mustang for irony's sake.